Anyone who’s read my Boston content knows that I love trackless trolleys. I was bound to take a SEPTA one pretty early on. 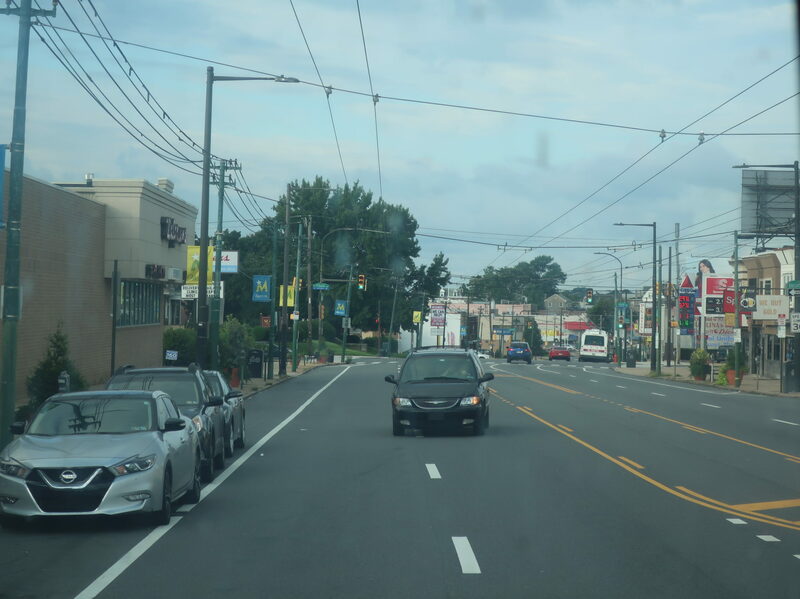 The 66 is the longest and most suburban of the three trackless trolley routes in Philly, running from Frankford Transportation Center on a straight shot up Frankford Ave to the city line. Will the fact that the route’s buses run under the wire raise its score, or will it have enough flaws to override its wonderful vehicles? Let’s find out. Our lovely bus glided out of the Frankford Transportation Center up Frankford Ave, running through a few different cemeteries. Once those cemeteries ended, we entered a dense neighborhood of rowhouses, but Frankford Ave was lined with businesses, many of them with parking lots. Also, the trolley wires split into four tracks, showing off one of the 66’s most unique features: during rush hour, a few trips actually run express, so they can pass other trolleys! I’ve yet to try one of these trips out, and none of them are actually scheduled to pass, but I’m sure it’s still a blast anyway. Trying out the rear window! The express tracks ended near the intersection with Cottman Ave, and this was the location of the 66’s first short-turn – this one only happens at rush hour, and it takes all of twelve minutes to get to this point. Meanwhile, there were still lots of businesses along Frankford Ave as we continued, but the side streets were still all residential. There really isn’t much else to say here! 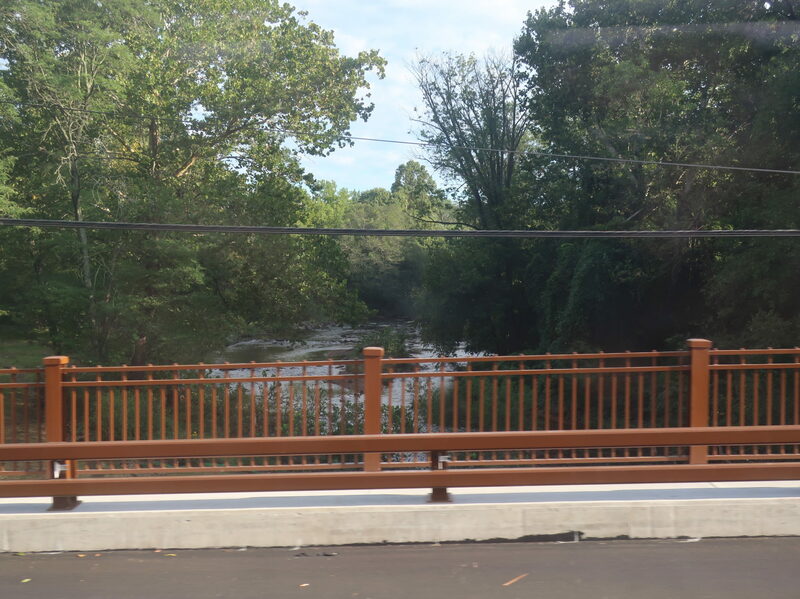 We got to speed up for a bit to cross Pennypack Creek, officially entering Far Northeast Philadelphia. It was a notable transition: on the other side of the creek, there were now some regular houses amongst the rowhouses, and the businesses were a lot more car-oriented. We passed a church and a cemetery, then a big ol’ shopping plaza, and soon after that we reached Gregg Loop. This is the route’s second short-turn point, where every other trip on weekdays terminates. The loop also serves certain trips on routes 70 and 88. After Gregg Loop, there were a few more businesses before Frankford Ave became lined with houses. We also passed a park and golf club, a small cemetery, and Holy Family University – after that last one, the housing stock actually switched back to apartments. Just after a shopping plaza, we pulled into the Frankford-Knights Loop, which showed up just before Poquessing Creek and the Philadelphia city line. 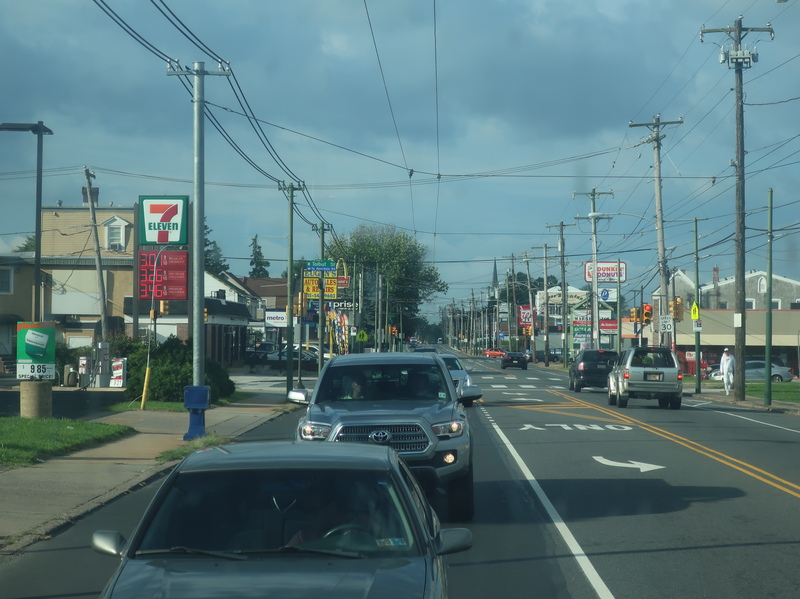 The Frankford-Knights loop, seen with – ugh – a diesel 66! Ridership: It makes me so happy that a trackless trolley can make it into the top 20 busiest SEPTA routes. Granted, it’s right at number 20, but 11,216 passengers per day is nothing to sneeze at! 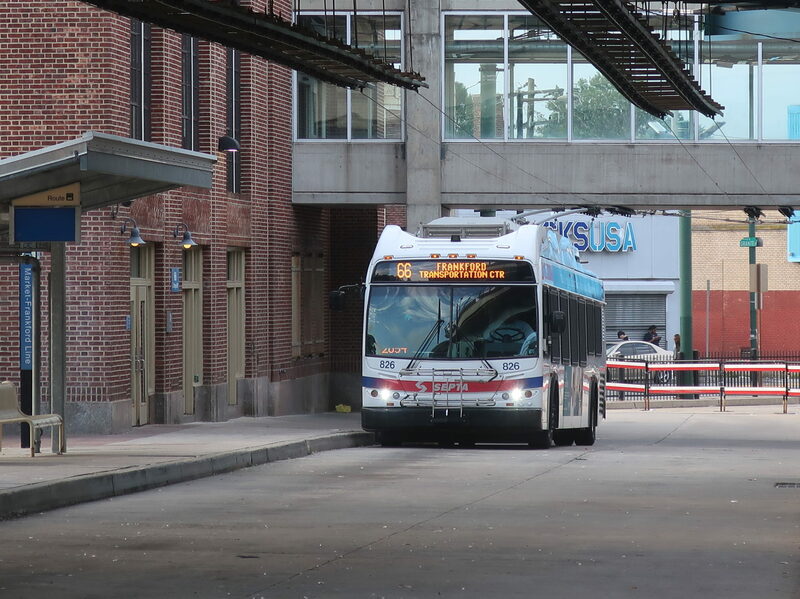 I’m sure this route gets quite busy during the day, but I must confess that I rode outbound on a Saturday morning, so the bus was never too crowded at any one time – there were 19 riders in total. Pros: First of all, it uses trackless trolleys. Second of all, the route is beautifully straight, running right up Frankford Ave with no turns to speak of. Third of all, it uses trackless trolleys. Fourth of all, the schedule is generally quite good for SEPTA standards: service is every 3-5 minutes at rush hour, every 8 minutes midday (though every 16 to Frankford-Knights, but based on the ridership I saw, that kinda makes sense), every 11-12 minutes Saturdays, and every 16 minutes on Sundays. The route even runs all night, with service every 45 minutes. Finally, and this is very important: it uses trackless trolleys. Cons: I have three main problems with the 66. Firstly, this is a SEPTA route, so the stops are way closer than they should be. Also, this is a SEPTA route, so the service patterns at rush hour are ridiculous. The schedule gets too complicated for its own good with three possible termini, plus the express trips that save five minutes at best. 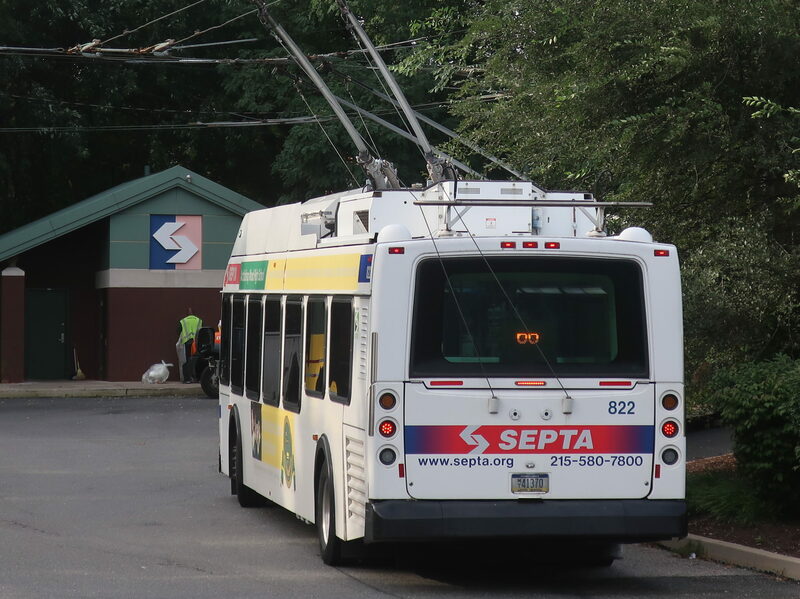 I’m all for cool four-track wire arrangements, but it doesn’t seem necessary, especially when, as usual for SEPTA, the 66 is less productive at rush hour than it is midday. Finally, though this route does it a little better than others, it gets infrequent too early. I want to see service at least every 20 minutes until midnight, but it becomes every half hour at 10 PM, and 9 PM on Sundays. Maybe take off some of that excess peak service to run more buses at night (and also to bring the Sunday headway down to a clean 15 minutes from 16 – although that could be done by just shortening the lengthy layovers by a few minutes)? Nearby and Noteworthy: I must say, I’m captivated by the Philadelphia Insectarium and Butterfly Pavilion. It seems like an off-the-beaten-path museum with lots of insects and a cheap admission, and the El to the 66 is the best way to get here with transit! Okay, let me explain my reasoning here. 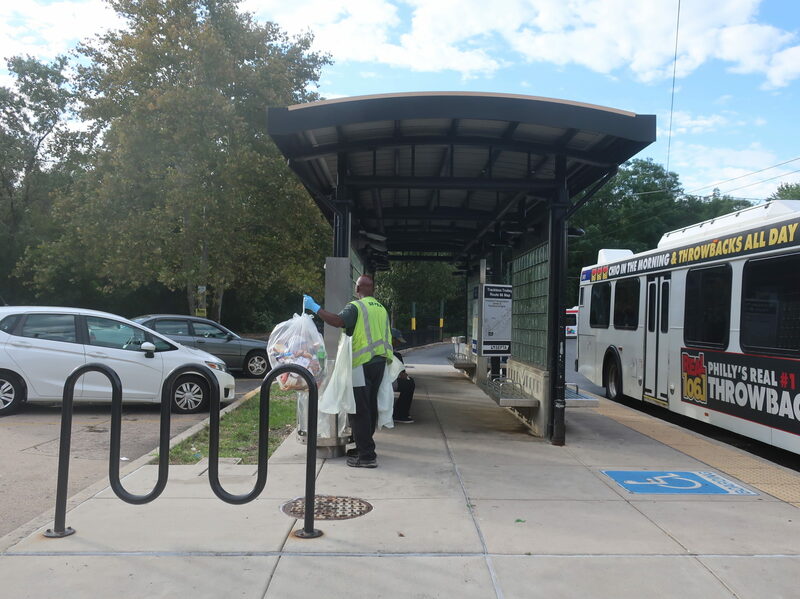 At most times of the day, the 66 is a frequent and direct route straight up Frankford Ave, serving quite a lot on its relatively short journey. It runs all night, so no matter what, there will be a bus coming at some point. That being said, some of the route’s problems bring it down: it has close stop spacing, it’s complicated at rush hour, and it can be too infrequent at times. Overall, this averages out to about a 7 out of 10 for me. Buttttttttttt…trackless trolleys. 8 out of 10. Yes, I am a shameless sucker for them.